The Best School Counselor blogs from thousands of top School Counselor blogs in our index using search and social metrics. Data will be refreshed once a week. School Counselor newsletter is a comprehensive summary of the day's most important blog posts and news articles from the best School Counselor websites on the web, and delivered to your email inbox each morning. To subscribe, simply provide us with your email address. New York, New York About Blog We are a group of school counselors, psychologists, and social workers working together to bring resources to our colleagues. This was made for you. Confident Counselors is a monthly round up of resources, products, best practices, articles, comic relief, blog posts, give aways and ideas in action. Facebook fans 7,640. Twitter followers 453. Friendswood, TX About Blog I'm a school counselor, character coach, and author in Friendswood, Texas who hopes that you'll find something that will positively inspire, intrigue or influence you while you're here. Facebook fans n/a. Twitter followers 9,239. About Blog Hi there! I am an elementary school counselor, mental health counselor, and curriculum writer hoping to reach every single student and spark social emotional growth! Facebook fans 2,210. Twitter followers 354. Lansing, NY About Blog I am a certified school counselor at Lansing Middle School in Lansing, NY. I have worked as a school counselor for the past 20 years. My first 5 years of counseling were spent as an elementary and middle school counselor. A blog about the ideas and practices of a Middle School Counselor. Facebook fans 14,774. Twitter followers 3,654. About Blog LINK for Counselors provides resources for High School and Transfer Counselors including College profiles, scholarship searches and college night handouts. About Blog Do It Yourself College Rankings helps families understand and use data to create custom lists of colleges that best meet their needs. Explains how to search for colleges that will provide the best financial aid and how to research colleges. Check out this site to get guidance for finding colleges. Facebook fans 3,496. Twitter followers n/a. About Blog Simply Imperfect Counselor was made for school counselors, education bloggers and mamma’s who want to raise em’ right! If you love kids, education, and mental health, you will feel right at home here. So, kick up your feet, grab that coffee and stay a while! On this site, you can expect to get up-to-date, usable information and resources related to school counseling and parenting kiddos. About Blog Hey, y'all! I'm Sara. I have the privilege of serving as a school counselor at a Title 1 elementary school in a major urban district in the south. I'm particularly passionate about engaging and effective classroom lessons, curriculum mapping, and working with EL students. In this blog i'll be Sharing engaging and effective strategies, ideas, and resources with my school counseling colleagues! Virginia About Blog This blog was created to share experiences and resources with other elementary counselors. I am always looking for a new challenge and opportunities to share and network with other elementary counselors. I have my NCC and NBCT (School Counseling) credentials in addition to a masters degree and a PhD. I love to mentor new counselors. In 2011 the counseling program at my school achieved RAMP. About Blog I am a middle school counselor in Germantown, TN, a suburb of Memphis (home of the blues and barbecue.) I have three fabulous kids and an amazing husband. Currently, we have 3 cats, two dogs, 2 llamas, 9 chickens and 2 ducks. In this blog you will find adventures of a middle school counselor. Facebook fans 1,968. Twitter followers 63. About Blog The Niwot High School Counseling Department created this blog to provide students and parents with readily-available information pertaining to students' academic, social/emotional, and college/career success. Merrimac, MA About Blog Laurie Mendoza, MA, CAGS has been a certified elementary school counselor in Massachusetts since 1999. Prior to that she was a children's outpatient clinician for 7 years. Facebook fans 4,701. Twitter followers 181. About Blog A CHS School Counseling Blog for Supporting Cavalier Nation. Facebook fans n/a. Twitter followers 650. About Blog My name is Danielle Schultz. I am a middle school counselor and founder of School Counselor Blog, a place where school counselors share innovative ideas, creative lessons, and quality resources! I am a doctoral candidate in the Counselor Education and Supervision program at Duquesne University in Pittsburgh, PA.
Facebook fans 13,813. Twitter followers n/a. About Blog A School Counseling Blog. Here you will find Lesson Plans and More For School Counselors. North Carolina, USA About Blog Hi, I'm Rebecca Atkins! I'm a school counselor & central office administrator. On my blog, Counselor Up, I share tips on organizing your comprehensive school counseling program, lesson plans, group ideas, and individual counseling tips. Counselor Up! is a place to share some of the ideas, organizing tools, and planning for a comprehensive school counselor program! Facebook fans 3,197. Twitter followers 1,086. About Blog As a school counselor, I understand how difficult it can be to find new, innovative, and fun ideas to implement with your students, so I’ve decided to compile my favorite classroom lessons, session ideas, and organization tips for all of you to use with the children at your schools, as well as style ideas and self care practices to encompass every aspect of The School Counselor Life. Facebook fans 614. Twitter followers n/a. Portland, OR About Blog I've been working as an elementary school counselor since I obtained my Master's Degree in Education in 2005. When I first started as a counselor,I've made it my mission to find contemporary books that help address the many issues children currently have to deal with. I handpick all of my books and will only post books I actually use and truly make a difference in a child's life. Facebook fans 4,357. Twitter followers 3,283. San Diego, CA About Blog Hatching Results provides training, consultation, grant writing and program evaluation to support school counselors, administrators and school districts in designing, implementing and evaluating school counseling programs. We teach, empower and support those who use data in an effort to improve efficiency and effectiveness, leading to improved outcomes for students. Facebook fans 566. Twitter followers 651. About Blog The "Elementary School Counselor" blog is dedicated to elementary school counselors as a forum to share, inspire and expand best practices as the #1 resource for elementary school counselors. Scott Ertl is an elementary school counselor eager to help other counselors with classroom guidance lessons, individual and group counseling. Facebook fans 3,347. Twitter followers 199. Tennessee About Blog Hi, I am Laura. This is a Pawsitive School Counseling Blog. Here you will find Creative Ways to Counsel Children. About Blog Hello. I’m Judi. A mom, school counselor, creative and entrepreneur. I’m here to help school counselors thrive through creating: Connection, Clarity & Self-care. I help school counselors get organized & practice self-care. Facebook fans 68. Twitter followers 704. About Blog I'm just an elementary school counselor trying to reach as many children as possible. About Blog I am in my 13th year as an elementary school counselor in the great state of NC. Nothing excites me more than trying new things and learning from all the great counselors out there. I hope some of the ideas I share will get you excited, too! Facebook fans 1,539. Twitter followers 467. Massachusetts, USA About Blog Welcome to School Counseling Confessions! I am a teacher turned school counselor for the past 10 years. To sum me up - I am school counselor by day and a soccer, swim, basketball, ballet taxi driver by night. I am a hiking, shopping at Marshalls and game boarding kind of girl. I am not a writer and I will share my opinion that you may or may not like. Atlanta, GA About Blog I am a licensed professional counselor, mediator, conflict coach, Youth Mental Health lst Aid trainer, & peer educator who has a passion for educating others! Facebook fans 2,553. Twitter followers 1,118. New York, NY About Blog Hi! I'm a former school psychologist and special education director. Nowadays, I'm an overcaffeinated consultant in New York City working to improve the social and emotional skills of students. Facebook fans 1,088. Twitter followers 394. About Blog Hey, y'all! I am Melanie over at The Stylish School Counselor! I have been a Kindergarten teacher, 1st grade teacher, elementary counselor, and now...middle school counselor. I absolutely love being a counselor and learn new things each day. I started this blog as a way to share ideas, products, resources, and to network with other counselors around the country. Facebook fans 2,146. Twitter followers n/a. About Blog My Name Is Traci, And I Am The Direct Product Of An Uh-mazing Teacher And Uh-mazing Counselor Who Believed In Me When No One Else Did… And I Plan To Pay It Forward In A Big Way. On This Website You Will Find Tons Of Resources To Refresh Your Counselor Life! Facebook fans n/a. Twitter followers 962. About Blog I have been a school counselor since 1997 and have been blessed to work at every level, including high school department chair. I have worked in three states and for six school districts. Currently, I am the Supervisor for the 3rd largest school division in VA. This is a blog that is full of information, resources and insight to help today's school counselors become extraordinary! About Blog A Blog of views and opinions from school counselors about the counseling profession. Virginia About Blog Hey there! I started blogging about my experiences through graduate school and now have continued as a working school counselor. I am currently working in an elementary school but try hard to keep up-to-date on all things school counselor, as well as topics in education. I hope to share ideas, document what I am doing, network, be inspired, inspire, and collaborate with others through this blog. Greenville, SC About Blog Hi, I am a High school counselor, connector, idea sharer, caffeine addict. Facebook fans n/a. Twitter followers 1,023. Lutherville, MD About Blog Baltimore County Association of Counseling and Development is the professional association of school counselors in Baltimore County. Fort Myers, FL About Blog The mission of Florida Gulf Coast University (FGCU) department of counseling is to prepare exemplary professional practitioners, leaders and scholars. The department uses a research-practitioner approach that integrates the use of current technology, supervised field experiences, scholarly enquiry and intellectual and creative resources to work with an increasingly diverse and global society. Facebook fans 334. Twitter followers 691. About Blog SchoolCounselor.com was created in 1999 by Russell Sabella, PhD for the purpose of advancing solution focused counseling and technology literacy among counselors. School counselors and other educators can explore free resources, and learn from our video tutorials. Facebook fans n/a. Twitter followers 3,203. New Mexico About Blog The mission of the New Mexico School Counselor Association is to promote excellence in the profession of school counseling and the development of all students. About Blog Magellan College Counseling has 8 independent educational consultants who make the college application process more organized and less stressful for high school students and their families. National City, CA About Blog Sweetwater High School Counselors are committed to providing a comprehensive counseling and guidance program as a vehicle to assist students in acquiring and using life-long learning and self-managing skills. We are committed to implementing a proactive and preventative program which employs strategies to enhance student academic success, provide career awareness & develop employment readiness. Facebook fans 29. Twitter followers 458. St Louis, MO About Blog Hi, I am Hayley Arnold a School Counselor. Over the years, I have had the opportunity to work with students in Department of Defense Dependent Schools in Bamberg, Germany, a K-12 school in northwest Missouri, and a K-8 building in Jefferson County. I love learning and working with children. They teach me so much everyday! Estherville, IA About Blog ELC High School Counselor. Updating students and parents on college information and other opportunities. Texas About Blog With over 20 years of teaching and counseling experience, I am currently a bilingual school counselor in a Central Texas public school system. This website addresses current issues in the school counseling world! In my monthly posts, I will provide helpful tips and links to enhance your counseling. Facebook fans 68. Twitter followers 100. Los Gatos, CA About Blog Dr. Schwartz founded Thrive College Counseling in order to support teens with learning differences make the difficult but important transition into adulthood. Thrive College Counseling works with students to discover their best college fit in order to ensure a successful transition to the college or program of their choice after high school. About Blog Hi, I am a school counselor at Wright Elementary in Des Moines, IA.I grew up in Des Moines Public Schools and graduated from Roosevelt High School in 2007. I attended the University of Kansas where I received a Bachelor's in Social Work and completed a year-long practicum at Comprehensive Mental Health Services, Inc. in Kansas City. About Blog The mission of the school counseling program is to facilitate development of excellence in professional competence, personal growth, and respect for diversity in order to prepare graduates for distinguished service particularly in the areas of leadership, advocacy and support of the educational achievement and life success skills of all students. About Blog A resource for students in grades 9-12 from the first day of high school until the day they earn their diploma. About Blog Mr Jim James Fisher School Counseling blog School related topics at Vantage Career Center including FAFSA, NTHS, School Van Wert Ohio. About Blog The school counselors at Memorial and the Senior High Schools are committed to advocating student success. About Blog San Juan High School offers complete school counseling services. They are also able to connect families to other counseling services offered. About Blog A Carlisle Counseling Blog is a resource for students. 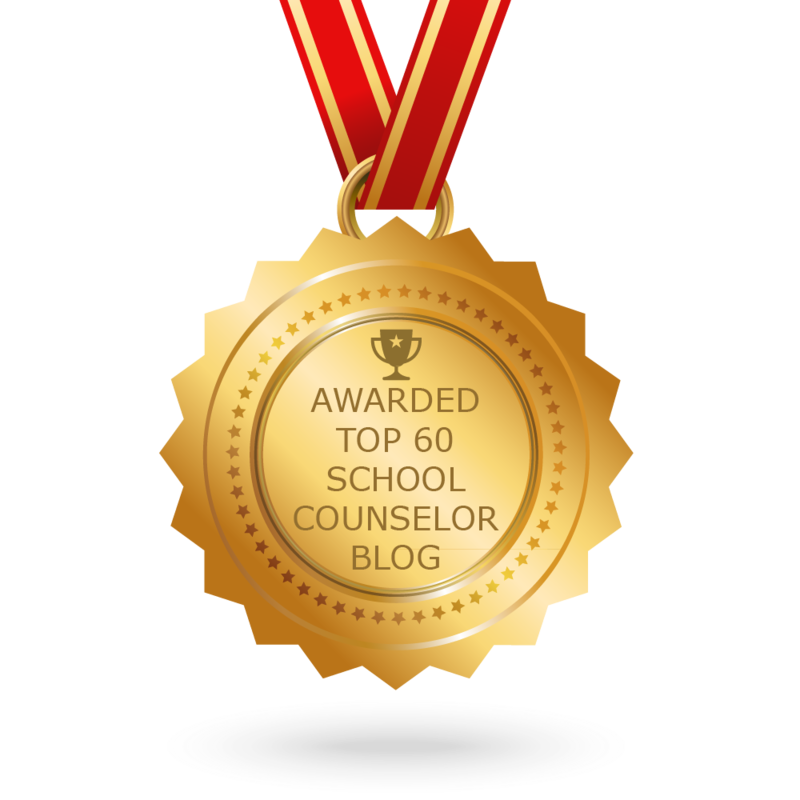 CONGRATULATIONS to every blogger that has made this Top School Counselor Blogs list! This is the most comprehensive list of best School Counselor blogs on the internet and I’m honoured to have you as part of this! I personally give you a high-five and want to thank you for your contribution to this world.